People are sometimes concerned or surprised about finding out that they carry a genetic condition. Every person on earth carries several genetic conditions (mutations), usually without any symptoms or signs, so it’s actually quite normal to test positive. But when two people are carriers for the same genetic disease and have children together, their children are at risk for inheriting two mutations and having the disease. The vast majority of the time, there is no family history of the disease. It’s important to find out if you carry the same condition as your partner before having a child together. So, what are the options if you discover that you’re both carriers and at risk of having a child with a genetic condition? First, it’s important to know that 98% of couples will not carry the same conditions and, therefore, will be at reduced risk. When couples carry the same condition, the chance of having a child affected with the condition is 25% in each pregnancy. Fortunately, there are many options for these couples to manage or reduce the chance of having a child affected with a genetic condition. IVF/PGD: In Vitro Fertilization and Preimplantation Genetic Diagnosis can be used to check an embryo for a genetic condition before it’s implanted in the womb. Women take medications to help them make multiple eggs which are then retrieved during a minor outpatient procedure. The eggs are fertilized with her partner’s sperm. An embryo can then be tested for mutations before it’s transferred back to her uterus. Single embryo transfers are recommended to keep the risk of multiple pregnancy as low as possible. A couple in this situation should see a fertility specialist, or reproductive endocrinologist, to see if this treatment may be right for them. Sperm/egg donation: Couples can also choose to use an egg or sperm donor who is not a carrier of the same genetic condition that the couple carries. JScreen can educate patients about finding a fertility center that provides appropriate testing for their donors. Diagnostic testing of the pregnancy: These tests include Chorionic Villus Sampling (CVS) and amniocentesis. Couples can have testing performed from 11-20 weeks during a pregnancy to determine if their baby has a genetic condition. Some couples use the information to prepare for the birth and contact specialists who can help with treatment or management of the condition. Some couples elect to discontinue the pregnancy. JScreen can help couples find a specialist in their area who can perform diagnostic testing in a pregnancy, and provide education about techniques and testing options. Adoption: Some couples choose to adopt a child instead of getting pregnant. JScreen genetic counselors are happy to review all of the above options with couples who find out that they are at increased risk. Finding out if you and your partner carry the same genetic condition is empowering. It allows you to consider your options before getting pregnant, find out more about the condition and its management, and determine what option is right for your family. 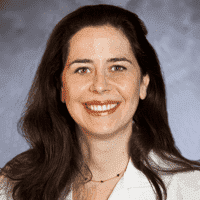 Jessica Spencer is a reproductive endocrinologist at Emory University School of Medicine. She sees patients with infertility, recurrent pregnancy loss, and reproductive disorders.